Is it possible to crave a food you’ve never eaten? That’s a rhetorical question, really, because I’ve been craving this sandwich for weeks. I mean weeks. And yet I can’t remember ever eating one. But what’s to understand? I like apples. I love cheese. And I rarely eat bacon, but that might change now. Yes, you could say that this recipe is as easy as A.B.C. 1) Preheat oven to 400 degrees. Cut bread at preferred width, then split in half. Lay pieces open-faced on a cookie sheet. 2) Sprinkle both sides of the bread with cheese, salt and pepper. 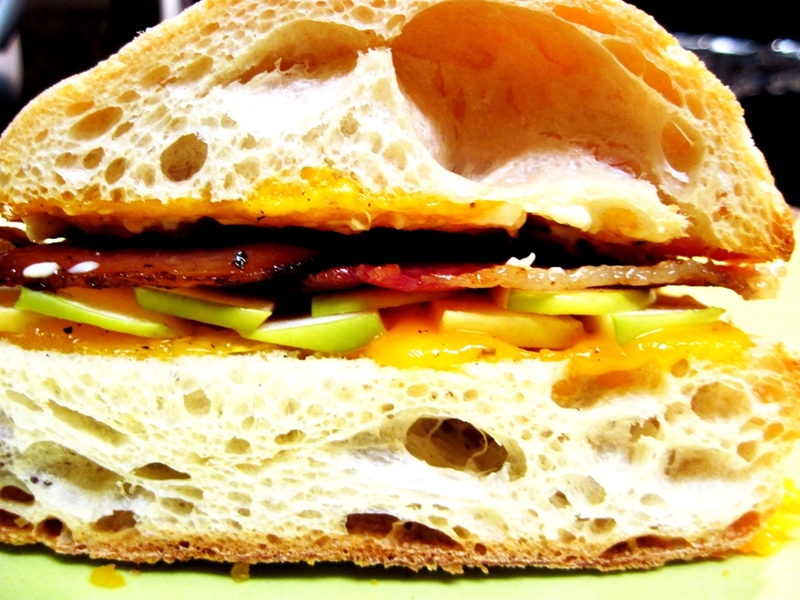 Top one half of each sandwich with apple slices. 3) Bake in the oven for about 10 minutes, or until cheese is melted and apple slices are softened. 4) Meanwhile, cook bacon until crisp. 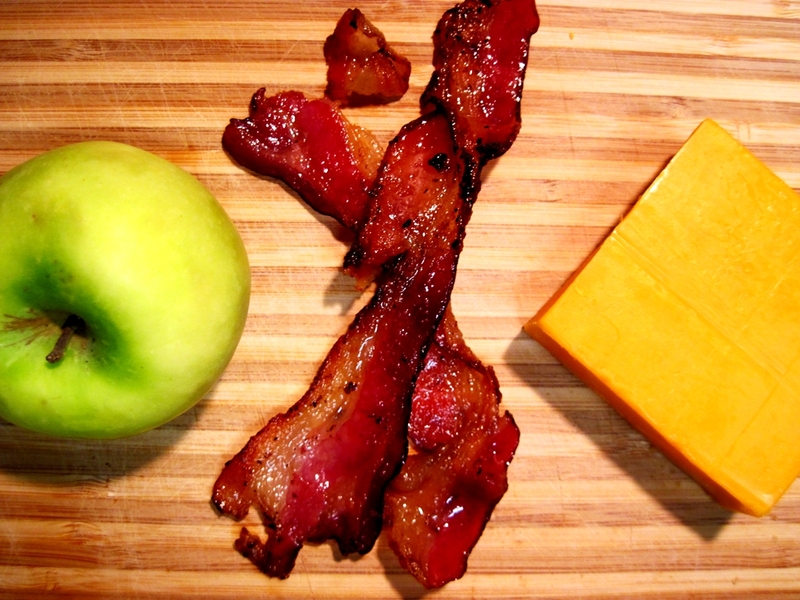 5) Once bread is removed from oven, top apple-covered bread slice with bacon. Spread on mayo to other side of sandwich as desired. Place slices together. 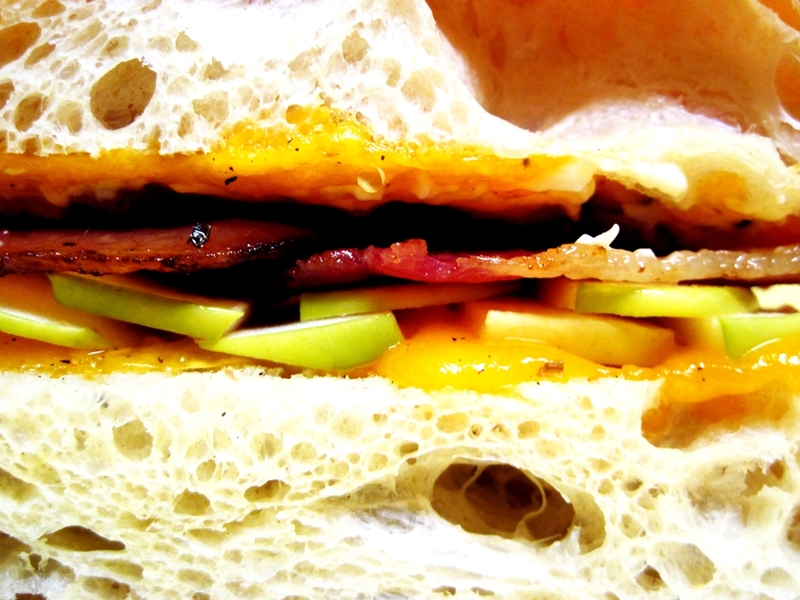 This entry was posted in sandwiches and tagged apples, bacon, cheddar. Bookmark the permalink. YES PLEASE. We are makin’ these when you come down for Ikea, girl. I’ve heard the rumors. That good, huh? I’ll have to try it! For a vegetarian option, replace the bacon with sauteed mushrooms, preferably creminis. I know this sounds bizarre, but with a little seasoning and mayo, it’s a really good combination!